More than 23,000 school students are taken out of class for a family holiday each school term, new figures reveal. Officials warn that while many parents believe holidays can be educational they can cause gaps in students' learning that aren't easily detected or filled. Parents have been fined in the United Kingdom after a Government law change designed to stamp-out holidays during term time. DO YOU TAKE YOUR KIDS ON HOLIDAY DURING SCHOOL TERM? SEND US AN EMAIL In New Zealand, the Ministry of Education's Lisa Rodgers, deputy secretary early learning and student achievement, said absences from school should be avoided where at all possible. "While holidays may provide valuable learning experiences, they can cause gaps in students' understandings that are not easily detected. "In the senior years, there is emerging evidence of substantial impact on students' NCEA where school attendance is variable, even for cumulative one-day absences." Principals say both rich and poor families pull their children from school for travel, which has been termed "parent-condoned truancy". The Ministry of Education last year introduced a system to record holidays during term time, which is considered an unjustifiable absence. Previously, New Zealand schools could record holidays during term as justified or unjustified. An attendance report released this month found holidays in term time last year accounted for 10.2 per cent of time unjustifiably absent. The ministry has now released extra detail to the Herald. While exceptions can and are made, it cannot become a choice of frequent practice. In term two last year 23,192 students missed at least one half-day of school to go on holiday - about 3.6 per cent of the number of students included in the survey of schools The average time missed per holiday was 4.66 days. Asked if holidays during school time was truancy, Education Minister Hekia Parata said in a statement that parents made decisions in the best interests of their children. "We strongly encourage that children attend school every day and the vast majority of parents ensure their children do," she said. "With the data we now have available, it is timely to remind parents that while exceptions can and are made, it cannot become a choice of frequent practice. School holidays are the time for that." A September 2013 law change in Britain has seen parents facing a fine if they let children skip school in term time. More than 50,000 tickets were issued in the UK in 2014-15. In May, a father who refused to pay a fine for taking his daughter out of school for a trip to Florida won a ruling in his favour at the High Court. Politicians here have no desire to introduce such a hard-line move. 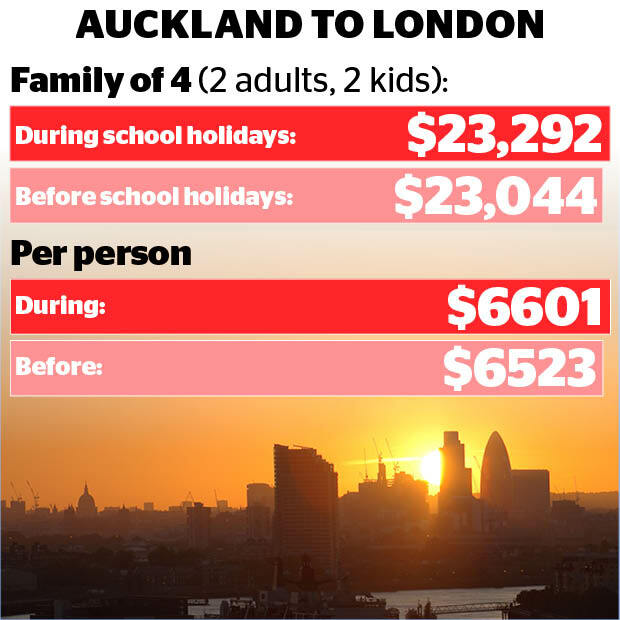 Labour education spokesman Chris Hipkins said a holiday during term time was justifiable in some circumstances. Those kids are going to get a pretty amazing experience during that time and there's a lot of learning that can go with that as well. "We would want to avoid making hard and fast rules about that...if you are talking about maybe a week a year, where they are going overseas because the airfares are cheaper. "Those kids are going to get a pretty amazing experience during that time and there's a lot of learning that can go with that as well." He said he would encourage schools to engage with parents about the type of things children could do while they were away on holiday that could help them with their learning. "I have members of my own family who have done this and the schools that their kids go to have generally been pretty supportive because they have been able to talk about the types of things and experiences the kids can get when they are on holiday." 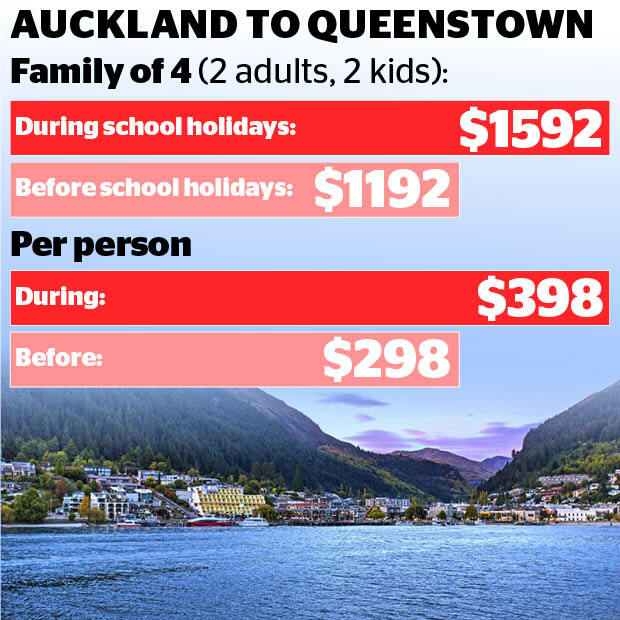 Catherine Delahunty, Green Party education spokeswoman, said the practice occurred at both ends of the social spectrum, with poorer families taking the opportunity to get cheap flights to visit relatives. "I don't think punishing people for their family circumstances is the best approach. I think it's about negotiating with families," she said. 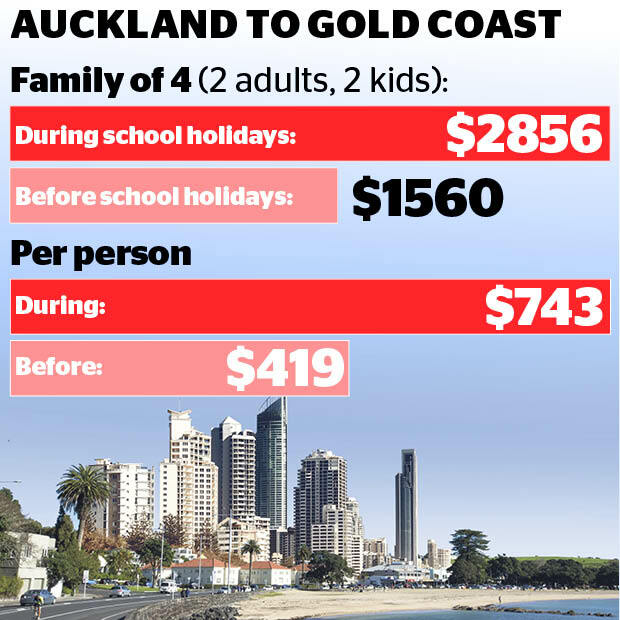 "I understand that flights to the Pacific are particularly expensive during school holidays. "We live in a pretty globalised world at the moment, and there are people who take the opportunity to take the kids back to meet family in other parts of the world and end up staying on to make it worthwhile." 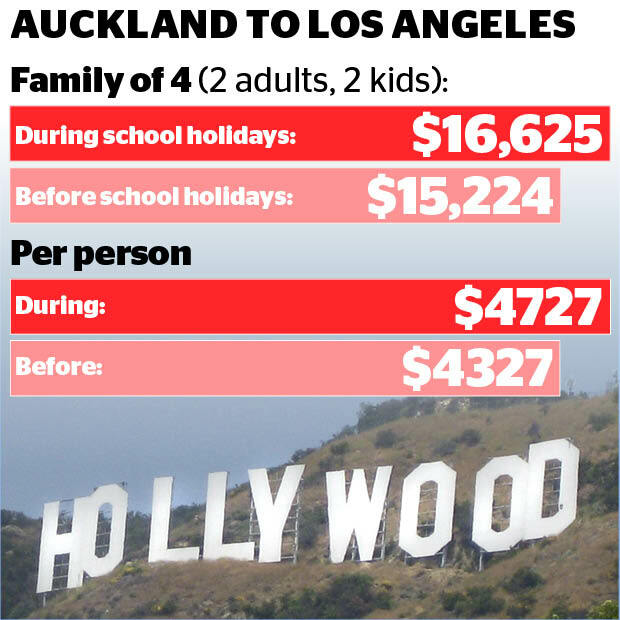 Allan Vester, chairman of the NZ Secondary Principals Council and head of Edgewater College in Pakuranga, has previously told the Herald that about four families asked to take early holidays before each break, and principals could do little because families were clearly going no matter the response. The Education Act requires students to attend each school day. But a principal may allow an absence for no more than five school days. Boards of trustees can prosecute parents for their children's non-attendance, but this is a last resort and only for serious cases.